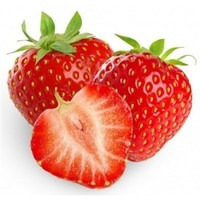 A mix of strawberries delivering a true, sweet yet mildly tart flavor rich in complexity. This recipe is the property of FrankH and released under the CC Attribution 4.0 license. You may not copy, derive or commercialize this recipe without following the terms of this license or the explicit permission of the creator.